YALE UNIVERSITYLong before human ancestors began hunting large mammals for meat, a fatty diet provided them with the nutrition to develop bigger brains, posits a new paper* in Current Anthropology. Animals have eaten fat long before we did. They’re still animals. ? If you look to less developed cultures, they often eat the fatty parts of the animal - meaning the organs - over the meat. For them the meat is for feeding the animals. Animals have eaten fat long before we did. Theyre still animals. ? Well of course that's ... uh ... well you see ... the difference is that ... well in humans eating meat was different because ... evolution. Amazing how her ugly interior seeps and oozes its way to the surface. She is one fugly woman. A lot of wild game has very little fat and calories in the meat it’s self. You can gorge on rabbit meat protein and still starve to death from lack of calories. The organ meats are where all the fat and calories are. So what you share here makes sense. Don’t preditors typically eat the entrails and visceral fat of their prey first? Fat, is where it’s at. The pursuit of such tasty fat is probably what made us relatively squirrelly, too. The French and Chinese are less developed? The same study has also been done in the past by other more creditable sources. This is one where you can’t throw away the content just because of the source. Because she is a cow, and eats grains and sugar and plant-based food. And cheetos. Thats a  Just So  story if I ever heard one. The chinese, yes. Most of their people have been peasants for millennia and still are. They ate whatever they could to survive. Sure, the elites in the imperial palace and later the halls of their communist party apparatus were advanced but let's be real here. French cuisine (and that of lots of Europe) retains vestiges of those ancient preferences (and medieval staples) but as niche items. Most people there are not shunning steak for hearts or brains as their main source of protein. And they can't, really, because a hell of a lot more people can be fed on the meat from a cow than can on it's liver and brain. The population can't be sustained on organ meat at this point. But I'm specifically talking about people like the Inuit. Historically they lived on animals for food exclusively because nothing grows there and they must hunt to eat. Once they have a kill they have two choices: muscle meat or organs. They prefer the organs, fat and marrow because they pack the most nutritional punch. Since they tend to be in smaller groups there's enough of that to go around unlike in modern western cities. Dumb way to state it. Revised: Eating meat favored the growth of our superior brain. 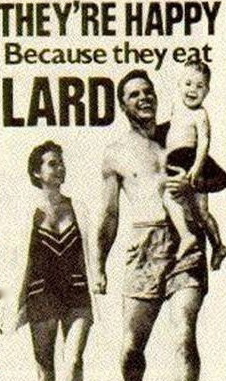 I believe our ancestors ate fat. But that 4 million years stuff is a crock; and not a crock of fat, either. They, and we eat fat because it’s good and good FOR us. God told the Jews, if they did right and obeyed Him, they would enjoy the fat of the land, “and thou shalt be fat.” I choose to believe and obey God, and keep on enjoying the good stuff.